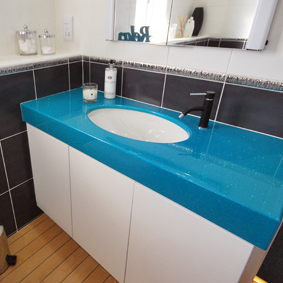 We offer a large range of size options for high quality stone resin shower trays. 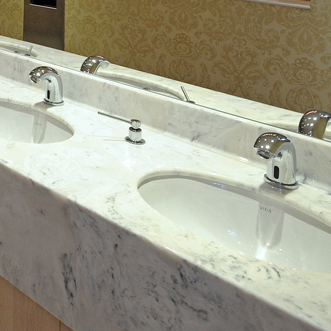 The unique cast surface gives Versital a finish that not only looks good, but is safer too. Versital shower trays have undertaken rigorous testing and received a Category Two anti-slip rating. You can order FREE samples to choose your colour at home. 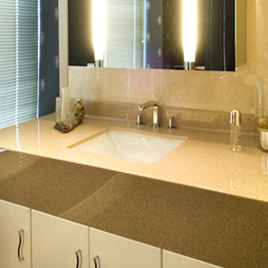 The shower tray shown below is in granite finish with complementing shower panels and vanity top in ‘Sandstone’. 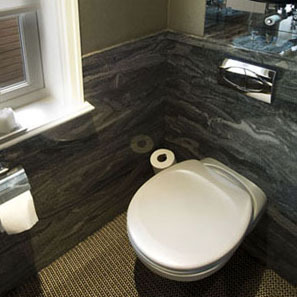 Versital stone resin shower trays are available in over 90 natural looking granite, marble and stone finishes. Also available are the exclusive high gloss sparkle ‘Reflect’ finishes. 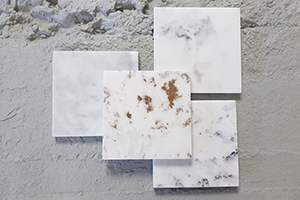 Order FREE samples of the finishes to view at home. Versital offer matching high quality resin shower panels in made to measure options in matching colours to Versital shower trays. This gives you the option to create a wetroom look bathroom that is 100% waterproof and easy to install – no need for tricky tanking. Plus no grouting! 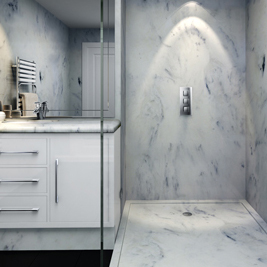 Take a look and get a shower panel quote. 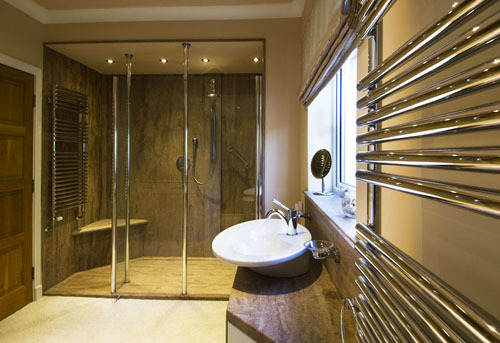 If a standard stone resin shower tray won’t fit, for the ultimate in custom design you can have a bespoke shower tray to your exact specifications. No more problems trying to find a shower tray to fit. You can get an estimate fast for a bespoke tray by sending your details, or contact us direct. 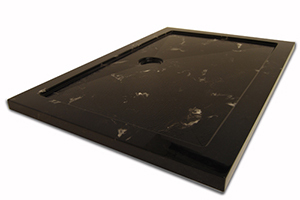 All Versital shower trays come with a certified anti-slip base to commercial grade standards. Suitable for domestic and commercial use. As chosen by the trade. 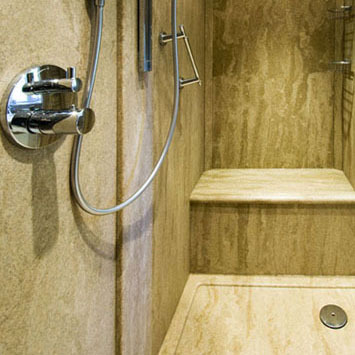 You can purchase standard sized stone resin shower trays direct in a large range of popular finishes. Delivery direct to your home. Contact us on 01204 380780.